It's already here. The Estrella Damm Master Final Trofeo Air Europa has landed at the Madrid Arena for the last event of the 2018 season. Four days of life or death clashes reserved exclusively for the best players in the world. And it all gets off to a tremendous start on Thursday with four top quality matches. Here's the schedule for a day of padel which you can follow entirely on streaming at worldpadeltour.com/en-directo. 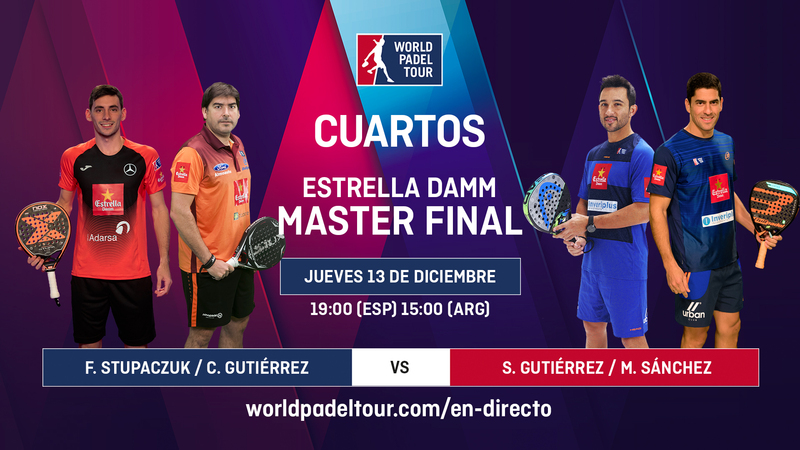 >> Purchase your tickets for the Estrella Damm Master Final here! 12:00 The Estrella Damm Master Final gets off to a monumental start. 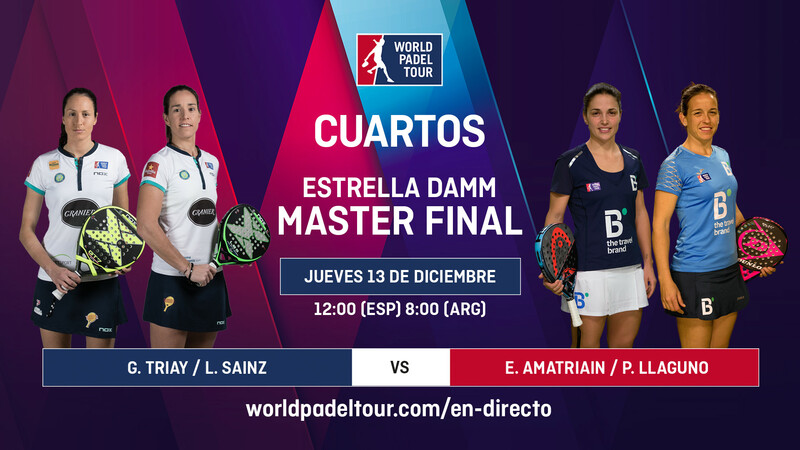 The women's draw begins with cracker of a match between the world number threes, Gemma Triay and Lucía Sainz, who have won four titles in 2018, and fifth ranked Patty Llaguno and Eli Amatriaín. A classic match to get things underway. 14:00 The action continues with another unmissable tie. 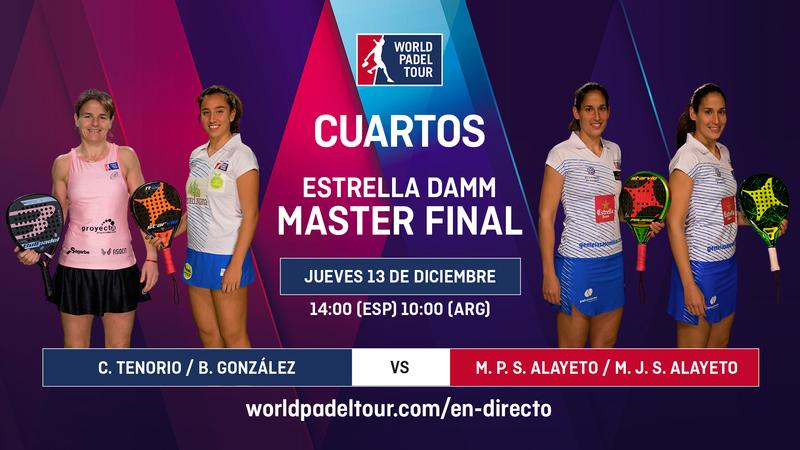 The world number one pairing of Mapi and Majo Sánchez Alayeto make their debut against Cata Tenorio and Bea González, who at 17 is the youngest ever play to feature at the Estrella Damm Master Final. A historic encounter which will move the action into the afternoon. 17:00 The men's event begins with a scandalous tie. 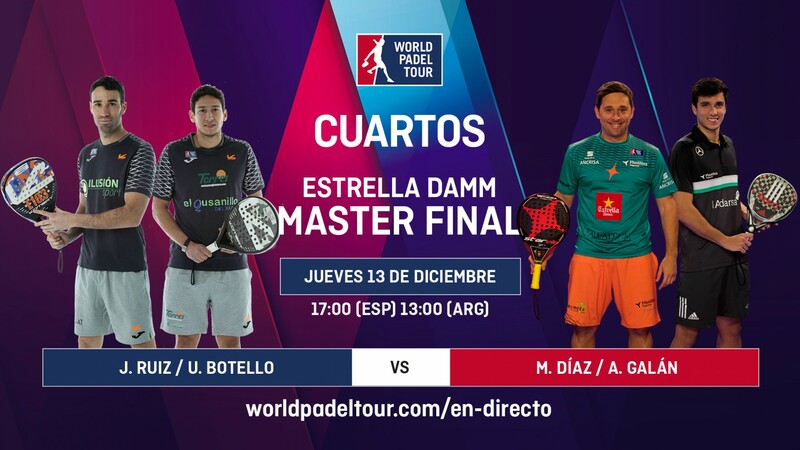 Third seeds Mati Díaz and Ale Galán are looking to cause trouble at the Estrella Damm Master Final and take on a giant-killing duo that has been the revelation of the season: Uri Botello and Javi Ruiz. 19:00 Can you ask for more? You can and you should. The world number ones, Sanyo Gutiérrez and Maxi Sánchez step onto the court to try and reconquer a title they claimed in 2014. Their opponents are none other than Franco Stupaczuk and Cristian Gutiérrez, two players who will be playing together for the last time.